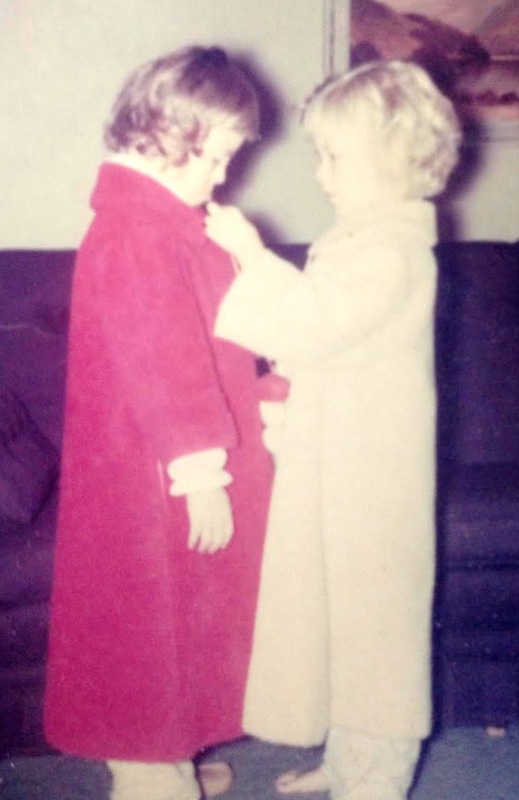 This is my sister Cindy and me when we were little. If you look closely you may be able to tell that Cindy has Down Syndrome. This was a long time ago and one of my most favorite pictures. I am now fifty-eight and Cindy would be sixty this month. I followed Cindy into this world and I was with her three years ago when she left. I am who I am in this world because of Cindy. She taught me all of the most important things about life through being who she was. If you have never had the privilege of knowing anyone who has Down Syndrome, you are missing something extraordinarily beautiful. My belief is that they are angels who are here on earth to teach us about beauty. True, real beauty. I have some strong beliefs about beauty. Real beauty is totally free. It doesn’t cost any money and it’s in abundance for everyone. Real beauty feels good. It’s a relief when we recognize it in ourselves and others. Real beauty is worth more than money. We all are beautiful and beauty is all around us. When Cindy looked in the mirror she saw extraordinary beauty, every single time. She saw a treasure, a work of art, grace, refinement, happiness. She didn’t see what many others saw when they looked at her. She was different looking. She walked funny. She kind of hobbled from side to side. She had a short neck and a fairly large face and her eyes were different. She often did things with her tongue and held her mouth open. Her tongue was thicker than ours so she didn’t speak with the clarity that ‘normal’ people do. She often twisted her words. And yet, she was exquisitely beautiful. She was nothing more and nothing less than who she was. She was pure, precious, and tender. She didn’t judge. There was no right or wrong or better or worse with her. No one was less than or more than anyone else in her eyes. Everyone was simply who they were. No expectations. No hidden agendas. No judgment. No measuring up. Ever. Somehow I think she saw right into the soul of everyone she met. She saw right into me. I know that. She didn’t see my skin tone or hairstyle or makeup job or weight or size of me. She saw the real being of me. She saw my essence, and because she saw what was real in me I was authentic with her. My mask fell off every time I was with her. When Cindy died I made a commitment to live my life with courage to see and reveal my beauty. I also made a promise to look for and see the beauty in others. I am doing that more and more. At fifty-eight I now look in the mirror and see lots of wrinkles and fifteen extra pounds that want to stay with me. And I am okay with that. When I look in the mirror now I consciously look for love. I look to love myself and what I see before me. I know that all those lines are paths to loving myself and others even more. They are not scars to be erased or covered up. They are lines of living and loving fully. Of sharing and caring for others, and myself, with tenderness and compassion. Just as Cindy saw me. No judgment. No criticism. No agenda. Cindy saw me, and she loved me so that I could learn to see and love myself. And if I can do that, you can too. Today, when you look in the mirror, look carefully to see you. Try to see yourself through the eyes of someone who loves you unconditionally, appreciates you for all your best qualities, and would never judge you. If there’s no one who has ever loved and appreciated you in this way, understand that this is likely why you struggle to see your beauty, but that doesn’t mean it isn’t there. Don’t worry about an image you think should be reflected back at you. Look for you in the mirror. Don’t focus on the laugh lines; focus on the smile. Don’t hone in on the scars; remember the strength that helped you heal. Don’t look at yourself with a critical eye; look for and celebrate the light in your eyes. I guarantee if you look carefully you will see something, someone beautiful. Someone worth loving and caring for. Someone soft and tender and precious. Someone who has a place in this world and a gift to share. Melody Schaper is a Somatic Movement Therapist in Kimberton PA. Her work enables others to be more compassionate and gentle with themselves and others through a loving presence and awareness of the truth in each and every moment. To learn more about Melody and to read her blog ‘Love Lessons’, click on; https://www.melodyschaper.com.